You can create a single page issue and customize its height. 1. From the My Publications page open the publication you wish and click the + Add New Issue button. 3. Choose the Single Spread option and enter the number of pages you wish to have. Warning: This customization does not work with double spread issues. 4. Click the CREATE ISSUE AND FINISH button. 5. When you're done open your issue, go to the page that you wish to customize and click the Edit button. 6. 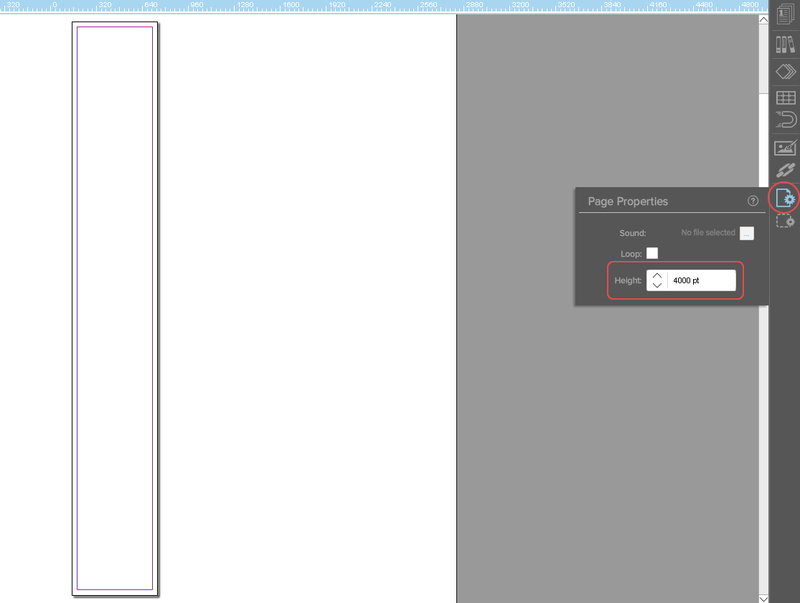 Click the Page Properties tool from the right toolbar and customize the height of the issue. Note: Zoom in the working space and scroll up/down to edit the page content. 7. After editing the page save your work.